Lecrae made history Tuesday by becoming the first purely hip-hop artist to win Artist of the Year at the GMA Dove Awards. But not everyone is celebrating this achievement by the rapper and outspoken Christian. Meeke Addison, a spokeswoman for Urban Family Communications, an organization dedicated to delivering "biblical truth" to the black community, feels that the industry shouldn't reward Lecrae since, in recent years, the artist has distanced himself from being known as a "Christian rapper." "What he has consistently and repeatedly rejected is the genre of 'Christian rap.' He has repeatedly rejected it," said Addison to One News Now earlier this week. "So why then does this Christian award outlet need to award him 'Artist of the Year?' Why? It is unfair to actual Christian rappers." 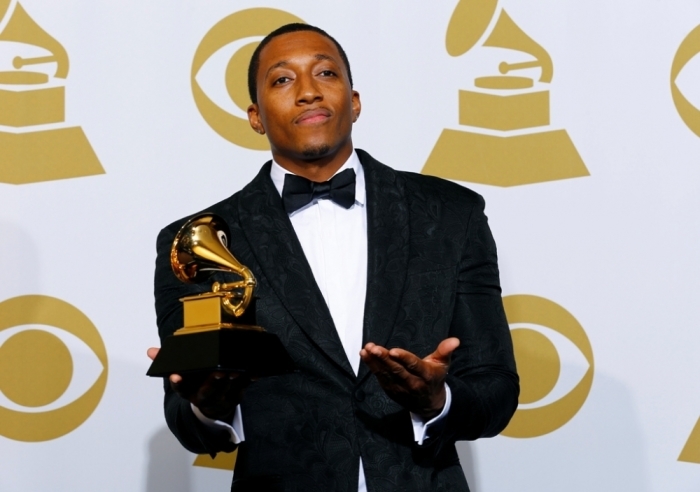 Lecrae said during a 2014 interview with the nationally syndicated radio show The Breakfast Club that he avoids the Christian rapper label because "he doesn't like boxes." "I'm a Christian and I'm a rapper," said Lecrae in response to host DJ Envy calling him a Christian rapper. "I don't like boxes. My faith informs my music. There would be no civil rights movement without Martin Luther King leading his charge, but his faith informed his movement. I appreciate everybody who has a voice, people who are speaking something into the culture. I'm just another voice in the mix, but my faith informs what I'm saying." Lecrae even addressed being a part of the bigger genre of Christian hip-hop in "Sideways," a song released by Reach Records label mate KB, earlier this year. "I ain't trying to build CHH (Christian hip-hop). I'm in my own lane, but they're like, 'He ain't safe.' They're rapping in a bubble, can't nobody see their face," raps Lecrae. The artist also discussed the Christian rapper title with The Christian Post during a 2012 interview. "Am I a Christian? Yes. Am I a rapper? Yes. So by that definition I guess I'm a Christian rapper. But, if we are talking about a genre, then I don't want my music to be thrown in that [Christian rap] genre. The only reason why is because I don't want non-believers to feel like this music is not for them. So I think that [classification] kind of gives off the aura that this music is for Christians, that's why it's called Christian rap," explained Lecrae. Despite opposition from Addison, among others, regarding his stance on the Christian rapper label, Lecrae remains appreciative of his Christian audience and humbly accepted the Dove Artist of the Year Award, along with two others for Rap/Hip-Hop Album of the Year for Anomaly, and Rap/Hip-Hop Song of the Year. Lecrae wasn't able to attend the ceremony due to tour commitments, but issued a statement to CP on Wednesday regarding the accolades.